Visiting the Lake of Titicaca was a real experience for me. There are many beautiful spots on our planet Earth, but for me Titicaca belongs to the most beautiful ones. Breath-taking sceneries, the kind of magic, the altitude, ... All this makes Titicaca a unique place to visit. Let me share some of the pics I made. 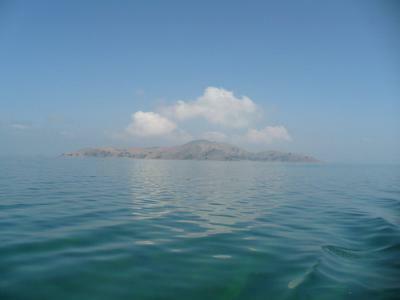 Lake Titicaca is the highest navigable lake on the entire planet, since it is 3,856 meters above sea level. That's impressive, as is the fact that it's almost 300 meters deep in some places. It's a lake cut nearly in half by 2 countries, Peru and Bolivia, with the border running straight through the lake. About 60% off the lake is on the Peruvian side and about 40% belongs to Bolivia. The great tourist port of the Peruvian shore is the city of Puno. Buses from Cuzco and other points of the country arrive here. In addition, in Puno there is a large concentration of hotels, hostels and places to stay. It's an unbeatable place from which to explore the wonders that surround Lake Titicaca, since Puno is one of the great lake ports from which the tourist boats set sail. 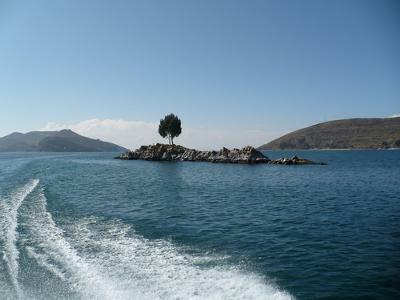 Taquile Island is one of the usual destinations for the boats that sail through Lake Titicaca. This is one of the largest islands. It is 35 kilometers from Puno and its nickname is the "island of the children of the sun". All its inhabitants earn their living thanks to two industries, tourism and, above all, textiles. This population conserves all its Quechua traditions in regards to the artisan clothing manufacturing. For this reason, those who visit Lake Titicaca and sail to Taquile will almost certainly buy handmade Andean clothes such as ponchos, hats, gloves, etc. There are other islands the fishing boats from Puno go to, but they are artificial islands. These are the so-called floating islands of the Uros people. They are made from the totora reed, an aquatic plant of Lake Titicaca. The people of the Uros created floating structures, so that they can live on water, taking advantage of fishing. 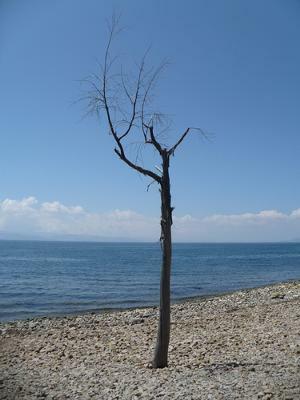 The islands can be up to three meters thick and must be maintained continuously. And there are not only houses on them, but also churches, community spaces or schools. By the way, they have an anchorage system at the bottom of the lake so that the wind does not move them. On the Bolivian side, the town with the most tourist infrastructure is Copacabana, which is reached from La Paz, 150 kilometers away. But besides being a tourist attraction, Copacabana is also a place to which Bolivians make a pilgrimage, especially because of its church of the Virgin of Copacabana, where it is tradition to enter to pray both in the Camarín de la Virgen and in the Chapel of the Candles. In addition, believers ascend to the chapel of Calvary to pray. From the port of Copacabana, the boats leave for the Island of the Sun. A mythical place, since the legend tells that here is the origin of the Incas. This is the reason why there was a sanctuary to the Sun God. By the way, on this island they will be able to speak in Spanish, but the inhabitants are Aymara and Quechua. Your photos are beautiful Jirka! Thank you! Glad to know you had an awesome time! Join in and write your own page! It's easy to do. How? Simply click here to return to Titicaca.